Every year Minnesota Quilters runs a challenge where you purchase their pre-selected bundle of fabric and make something with it. All entries are displayed at the show in June, and a winner is chosen. This was my 2013 entry. The fabric from the packet was the one with the flower and butterfly. I carefully cut it out a little bit of it and appliqued it a little in the Broderie perse style. I combined with my own hand dyed gradation and some colorful matchstick quilting. 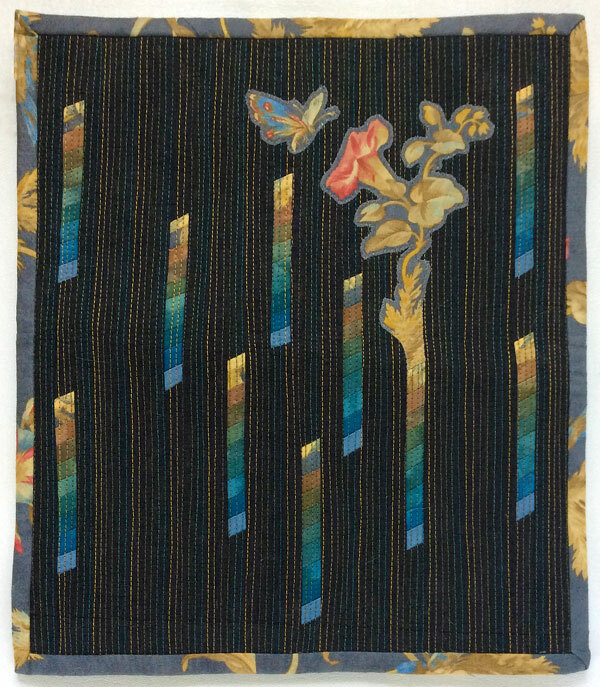 I’m seriously not crazy about this one, but I do like some of the things, like the variegated quilting.